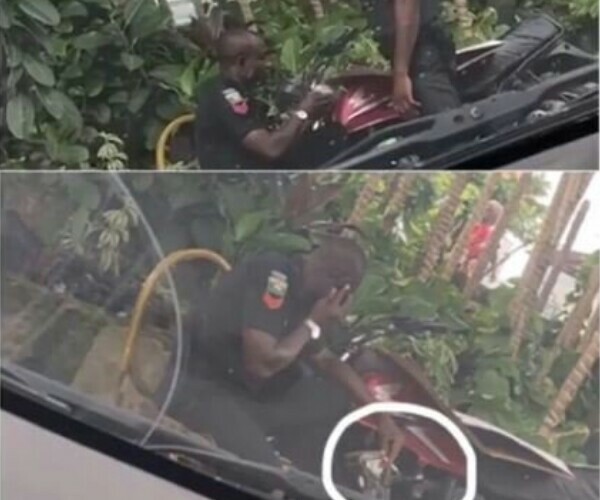 The attention of the Lagos State Police Command has been drawn to news making the rounds on social media about "Policemen stationed near Zenith Bank, Opebi, Ikeja, Lagos, seen counting bribes received and smoking". Based on the allegation, the CP Lagos ordered for their arrest, detention and trial. Meanwhile, preliminary investigation into the case revealed that the men weren't counting bribes received as alleged but coupons they collected from a game of gambling they played a.k.a Baba Ijebu. The men are currently facing disciplinary action that could lead to reduction in rank or dismissal. It is wrong to engage in such distracting activity while on duty. CP Lagos encourages members of the public to always expose, albeit accurately, indisciplined and unprofessional policemen.